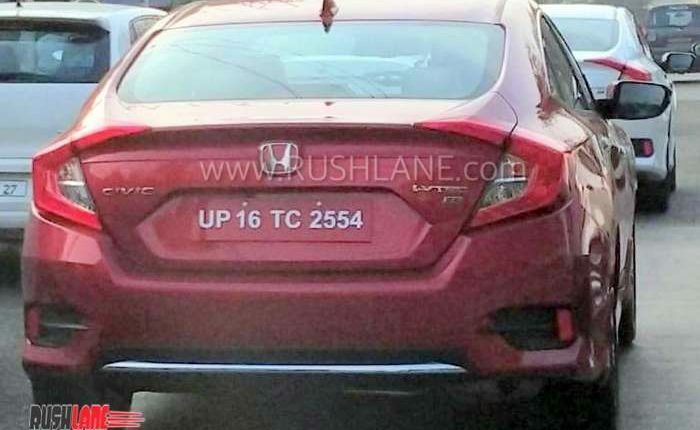 Top end petrol and diesel variants of new Honda Civic have bee spied for the first time. Hat tip to automotive enthusiast Arun, for sharing spy shots. 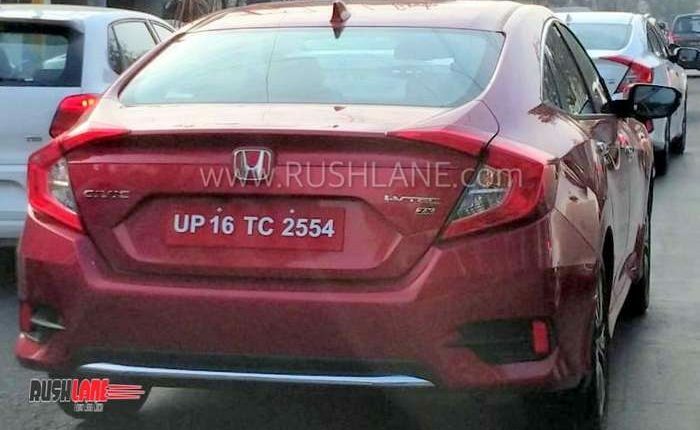 It’s going to be Honda Civic’s second innings in the country, after it was discontinued in 2013 due to flagging sales. 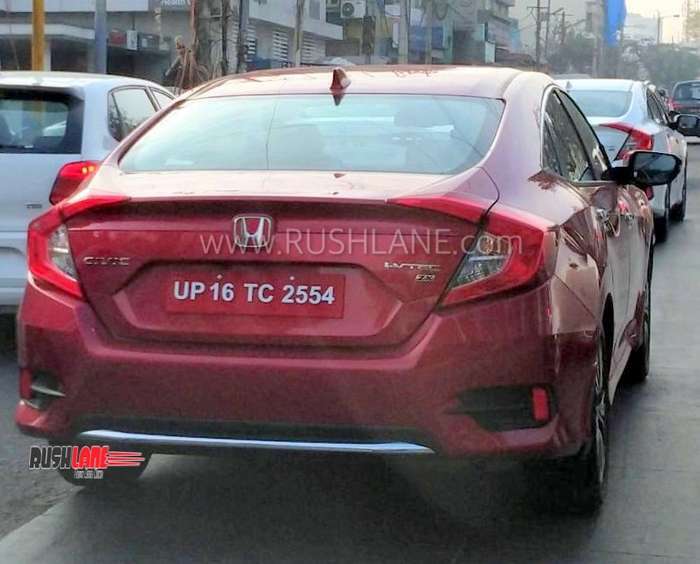 All-new Civic will be launched in March and deliveries will start in the same month. 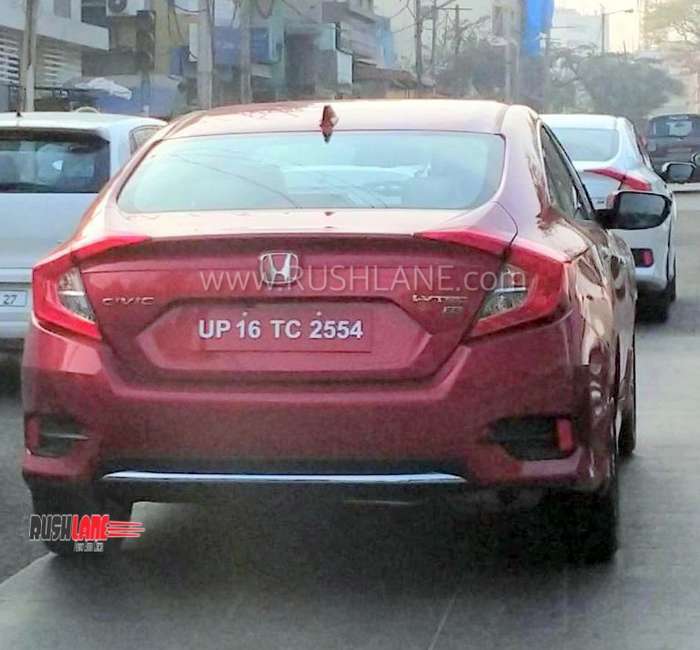 10th generation Honda Civic gets a complete makeover and it looks a lot stunning, as compared to its predecessor. Here are some key things you should know about all-new Civic, which is Honda’s largest selling global model, with over 24 million customers across 170 countries. Top end petrol with iVTEC badge. Imported via CKD route: All-new Honda Civic will be imported as Completely Knocked Down (CKD) Kits and assembled at the company’s Greater Noida facility. It is the same facility where Honda CR-V is assembled. 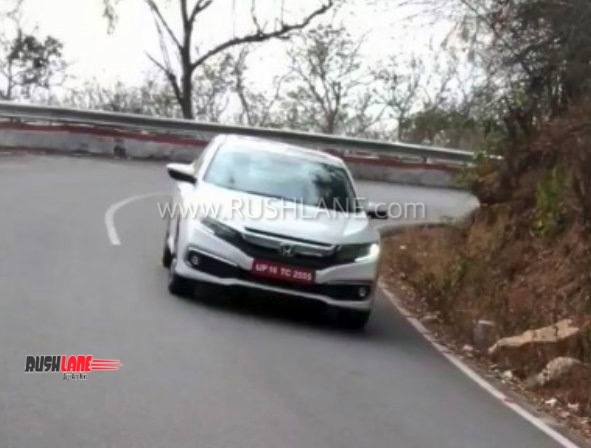 Diesel engine: 10th generation Civic will be getting a diesel option in addition to petrol option. Diesel engine will be the same one used in all-new CR-V that was launched last year. The 1597 cc, 4 Cylinder, DOHC i-DTEC diesel engine delivers max power of 120 PS @ 4000 RPM and max torque of 300 Nm @ 2000 RPM. Diesel engine used in CR-V comes with 9-speed automatic transmission, but with Civic, it will only come with 6 speed manual, to keep costs low. Petrol variant will be in the form of a 1.8-litre naturally aspirated unit (139 bhp / 174 Nm). Petrol engines are likely to come with 6-speed manual as well as CVT unit. Top end diesel with iDTEC badge. Best-in-class features: All-new Civic will be loaded with features such as LED headlamps and DRLs, stylish front with chrome wing design, boomerang shaped LED taillights, 18-inch alloy wheels, sunroof, leather seats, and 7-inch touchscreen infotainment system. Security features include 6-airbags, traction control and ABS with EBD. Other possibilities in top-spec models include lane assist system, adaptive cruise control, land departure warning, road departure mitigation and collision mitigation braking system with forward collision warning. Honda likes to price its cars at a premium and Civic is no exception. 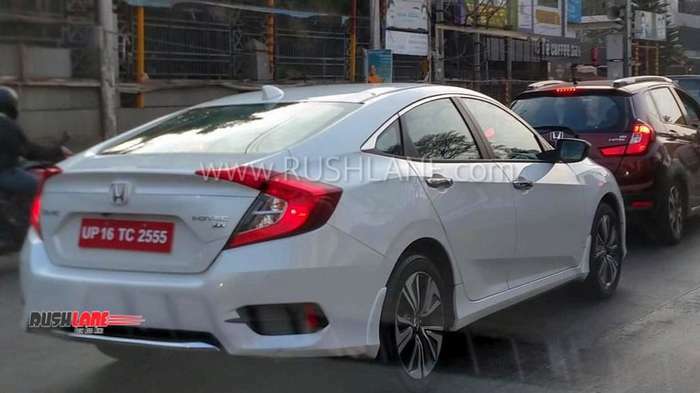 10th generation Civic is expected to be priced more than rivals such as Toyota Corolla Altis (16.45 lakh), Skoda Octavia (15.99 lakh), and Hyundai Elantra (13.71 lakh).